/ How to Deal with Beard Dandruff? How to Deal with Beard Dandruff? Avoiding beard just because of thwarting flakes is unfair with your personality. Don’t escape odds! After all, a man without a beard is like a lion with the mane. Read this and get a way out. Let’s starts with understanding the causes first. Dandruff’s parent – Pityrosporum ovale, the yeast found on the skin surface, cold weather, dry skin condition, over-washing your skin and stress are the most common culprit behind beard dandruff. No matter whom you accuse, you need a solution right now. How to Cure Beard Dandruff? Guys usually wash their beard with their regular hair shampoo. If you also do this, never repeat in future. 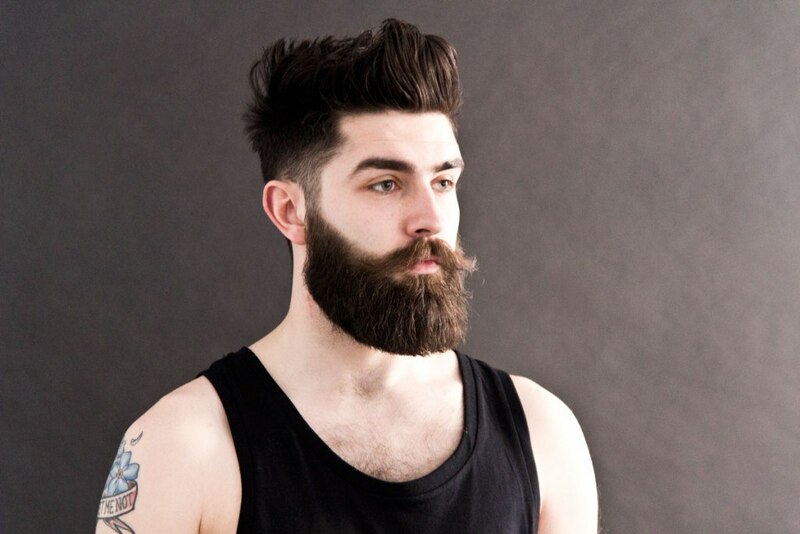 Hair care shampoos contain harsh detergents that will do no favor to your beards. Though appearing to solve the problem temporarily, these shampoos only worsen the problem and clog your skin pores. Instead, nurture the skin underneath your beard. Wash your facial hair daily with beard shampoos specially manufactured with pH-balanced formula. Make sure you massage shampoo deeply into your beard and skin. 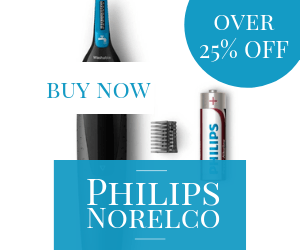 It will remove pollutants from your facial hair while retaining a soft skin. Inspired by the first tips? But don’t avoid your comprehensive skin care on a day-to-day basis. Scrub your face once in a week to clear away dead skin cells that clog your skin cells, resulting in beard dandruff. Scrubbing also removes any oil and dirt residing in your skin cells. 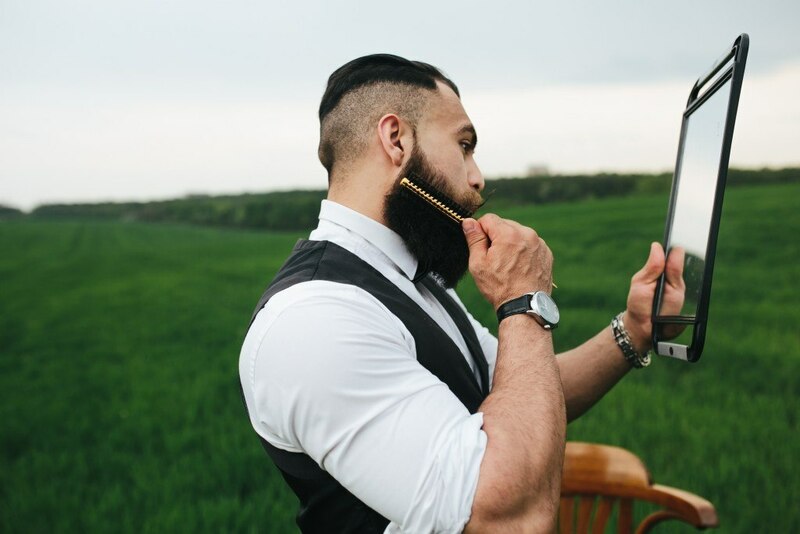 Make sure you use the best quality skincare products only for maintaining a great beard style. Bear moisturizer is another important product that every bearded man should have. 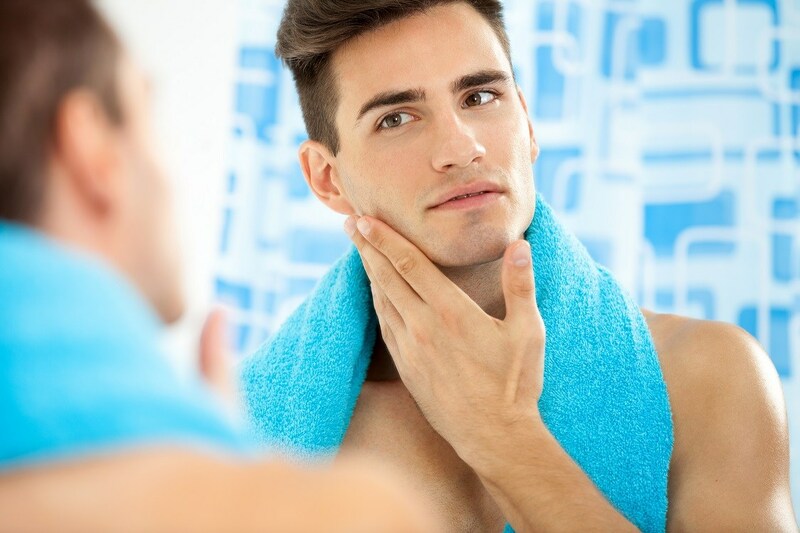 A good-quality moisturizer boasts a unique light and grease-free formula, which helps the moisturizer, penetrate the facial hair. When absorbed by the skin, it hydrates and protects it from all dryness issues and prevents developing beard dandruff. It also helps with skin irritation and combats pesky brittle hair. Bushing your beards moves the oil across it and stimulates hair follicles, making them healthy. 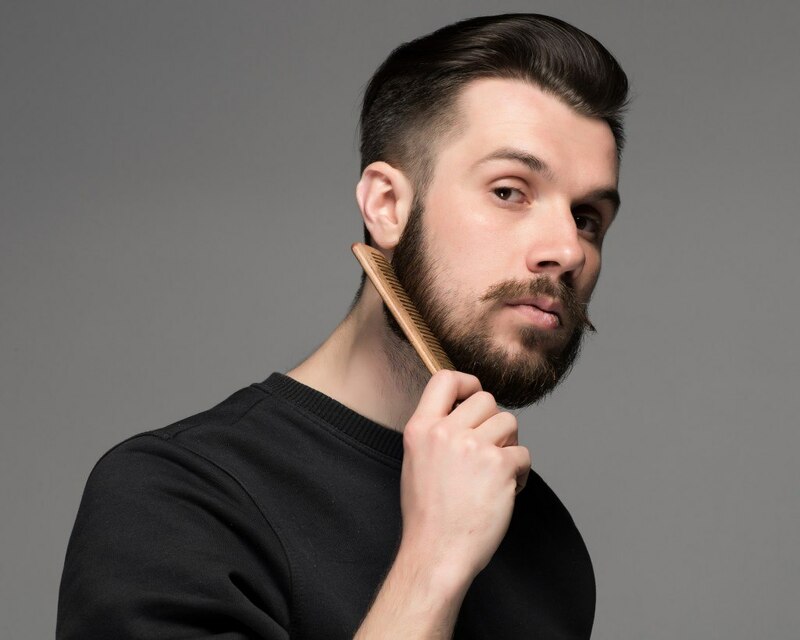 Boar bristle brush is an excellent choice when it comes to beard brushes. Brushing it on damp hair firmly combs beard from top to bottom. It smoothly detangles the tangled hair, trims of rough hair and clears the blocked skin cells. 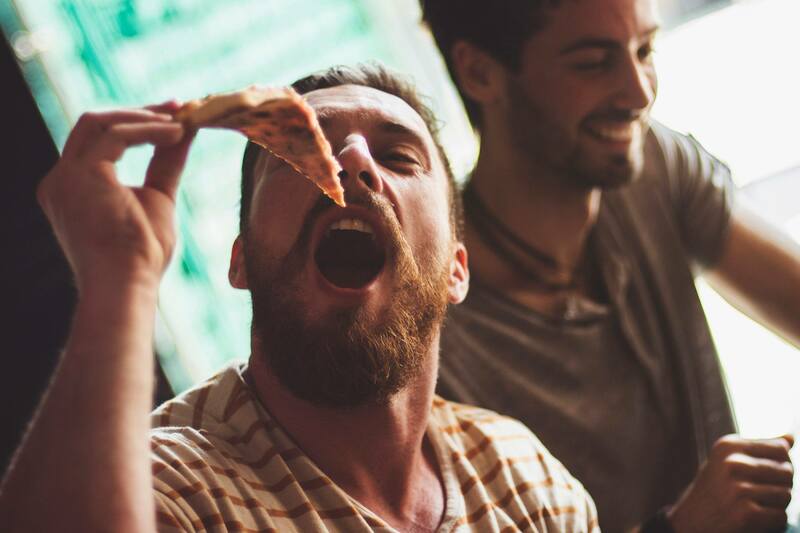 Finally, we have evidence that beard dandruff may relate to your eating habits as well. Men who have allergies from dairy products and what can have a flaky beard. Although there is less chance that you get dandruff because of food, it’s better to cut down certain food items if they affect your personality. 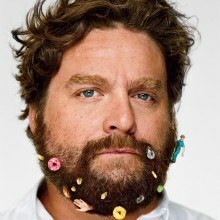 Mother Nature treasures cure to every problem, and beard dandruff ahs no exception. 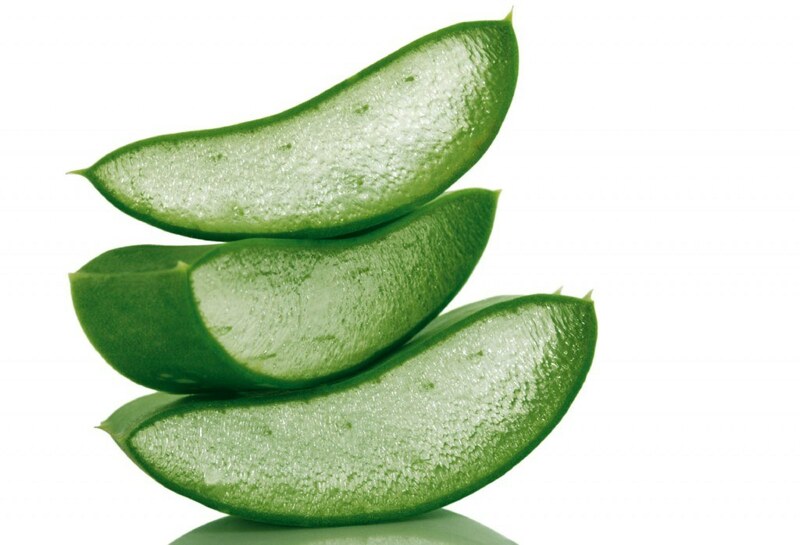 Try baking soda rinse, Aloe Vera massage, lemon rinse, jojoba oil and almond oil moisturizers. Bonus Tip: When you are applying any product on your facial hair, make sure that these products are free from synthetic additives and coloring ingredients as these can cause bad skin reactions. So, be alert when by beard grooming products. For the wellbeing of your handsomeness, the softest and healthiest beard is a must.